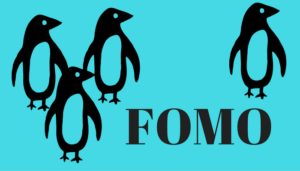 FOMO, or the Fear Of Missing Out, is real! In event world, it can be a real way to gain attendees now and later. Here are some ways to create a draw with FOMO. We’re Having So Much Fun! Make sure your network is engaged before, during and after your event. Who are your influencers, who are the “stars” involved in your event, who are the “people you should know”? Create a spreadsheet of these peeps, include their Facebook Business Page addresses, Twitter handles and LinkedIn Profiles. Tag them on your social media, then see who else participates and add them to your list. People love to be included, the more you can include them the more they feel a part of the event, even before they show up. Exclusively for You: Show some love to those who purchased Early Bird Tickets and/or for those who attended last year’s event by giving them special swag, early entrance into events, special seating, etc. See Me Selfies: Set up fun areas that call for selfies. Brand the selfies by including an event specific backdrop, accessories or consider something like Good Eye. Know where I’m at Snapchat: Snapchat allows for you to add artwork, logos, location visuals and more to a geofilter. These must be created and submitted ahead of your event, so be sure to plan. I’m A-Live Video: When you go live video on Facebook, all your likes are notified. It’s a great way to get noticed. Show your attendees experiencing new technologies, having a blast at an after-hours event or sharing testimonials about the amazing information they are privy to as an attendee! Pictures Worth Lots of FOMO: Pictures of the yummy meals, the activities, the giveaways and more go a long way to creating FOMO in a Don’t-You-Wish-You-Were-Here kind of way. And Now for Something Completely Different: Every event has its unexpected stories, share them! Highlight that being there is truly an experience! Create Wow: Also, create your own stories! If your event becomes known for awesome surprises, this will only add to your FOMO clout. Those not attending will not be in on the cool experience that everyone is anticipating. #MyEventRocks: Don’t forget the hashtag! When you create a hashtag for your event you are also creating a way for people to follow along. If you know someone experiencing any FOMO because they are not being fed crazy good advice or fun meeting planning hints, make sure you forward my blog to them – it’s what good friends do. Thank you, meeting planners, I love you too!